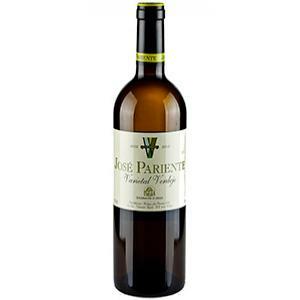 The 2007 José Pariente Verdejo of Bodegas José Pariente: a white wine from Rueda made of verdejo of 2007. 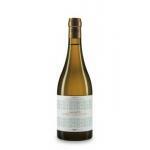 The 2007 José Pariente Verdejo is the ideal white to combine with serrano ham and white meat. 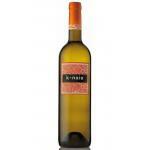 Uvinum users reviewed this white wine with 4 of 5 points and obtained the following scores: peñín: 88. Victoria Pariente and Victoria Benavides are the co-owners and processors of this vallisoletana cellar with high quality wines in two denominations, Rueda and Toro, always betting on small and well maintained and always with the traditional values ​​of the area production, indigenous grapes, Verdejo, Rueda for white ink for red bull. A good work in combining traditional wisdom with current techniques. Aromatic and slightly bitter taste characteristic. 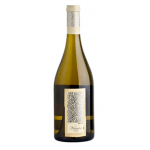 "Jose Pariente" is 100% Verdejo wine, from the vineyard of the Pariente family of 23-year-old, located in the municipality of Rueda; vineyards owned by the winery in Torrecilla de la Abbess and some other vineyards. 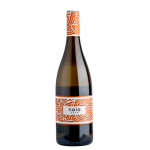 One of the best exponents of the Verdejo variety that are made in Spain. Of a light yellow colour. José Pariente Verdejo recalls white fruit. The taste of this Bodegas José Pariente is woody. We accompany it with a tuna and ham pizza. It had been opened at a wine event. 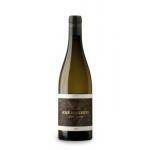 If you want to buy 2007 José Pariente Verdejo, at Uvinum you will find the best prices for Rueda white wine. Buy it now at Uvinum, wherever you are via all your devices. We're the only site in Europe with more than 59.000 products for sale and we are the leaders in sales of wine, beer, and spirits in Europe with more than 38.000 clients who trust us.